Security, crowd control, season events, convention service, construction projects, and more. 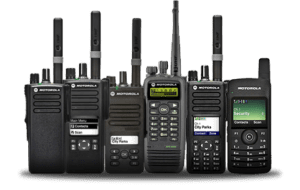 Whatever your short-term needs are, Radio Communications of Virginia can provide you the equipment you need to provide reliable communications where you need it. All of our two-way radio rental equipment are kept maintained and cleaned to ensure clear, fast, and efficient communications, day after day. Our team of experts will listen to your needs and design a rental system and rental plan to help your special event or project run smoothly, safely, and profitably. We can eliminate the time finding the right radio accessory by providing all the accessories you may need as part of your rental! We carry a wide variety of accessories such as chargers, batteries, speaker microphones, headsets, earpieces, and more. On a tight schedule? We can quickly answer any questions you may have and arrange for your rental to be ready when you need it. We can even ship your rental equipment via UPS/FEDEX courier services to quickly get to your location and provide the instant communication you need at your event. We know that short-term communications requirements can vary greatly, and that, sometimes, you may not know what you need or how long you may need it. 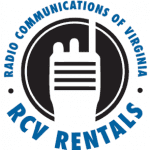 RCV has designed many different plans in our Radio Rental Program to meet a variety of communication rental demands while keeping the price of reliable communications affordable. We rent equipment by the day, week, month, or year! Contact us today for a customized rental quote!